Having an artist for a mother and an engineer for a father, nobody was particularly surprised when Sue took to designing and producing such unique silver jewellery. And that the jewellery had an African flair was also no surprise considering Sue was taken on her first camping trip into the bush at 6 weeks old. However, it did take her almost ten years from leaving school to become a jeweller. Sue qualified as a graphic artist, working in Harare and London, then moved on to teaching art before finally discovering where her true passion lay. 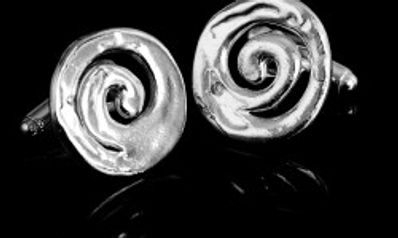 “Making silver jewellery provides creative challenges that come with multiple rewards, the satisfaction of designing and then creating something beautiful combined with the pleasure of seeing it being worn and enjoyed”. Sue shares her time between Shropshire and Zimbabwe and sells her jewellery at exhibitions, craft fairs, private functions or via her website. She is continually adding individual pieces and collections to her range so do keep visiting.